Miguel’s new dance/film/music piece is on at the Laban Theatre next week. Click to see the TRAILER. Miguel gave a presentation in a one-day event at the Institute of Musical Research exploring the visual strategies employed in the filming of classical music. Other guests included multi-camera director Jonathan Haswell and documentary filmmaker Barrie Gavin. As part of the Music and Moving Image conference in New York, Miguel gave a presentation entitled ‘Eyetracking Film Music’. This presentation focused on work undertaken with Dr Simone Stumpf at City University examining how music affects the visual attention of film audiences. Miguel has given a series of lectures for the International Institute for Popular Culture (IIPC) at the University of Turku, Finland. During his week-long visit he gave presentations on the manipulation of the human voice in contemporary popular music, mashup principles employed in recent film scores, and approaches to scoring silent films. As part of the BBC Proms season Miguel took part in a Proms Plus discussion focusing on the use of music in films set in outer space. Recorded in front of an audience at the Royal College of Music, an edited version of the conversation with presenter Matthew Sweet and fellow composer Anna Meredith was broadcast on BBC Radio 3 during the interval of the film music Prom on Saturday 31st August and can be heard on the BBC iPlayer until 7th September. 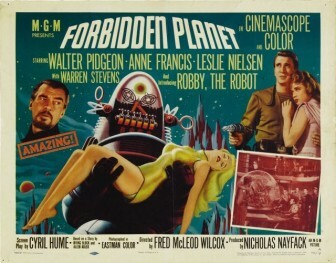 Miguel introduced two classic 1950s science fiction film as part of the Pioneers of Electronic Music Festival. Speaking about The Day the Earth Stood Still (1951) and Forbidden Planet (1956) Miguel highlighted the innovative approaches taken by the composers and the significance of the scores in cinematic and electronic music history. Miguel has been appointed a judge at this year’s British Composer Awards. Miguel will be involved especially in compositions in the ‘Sonic Arts’ category, covering electronica, experimental and electro-acoustic music. As part of the London Film Festival in association with BAFTA Miguel led a discussion with award-winning film composer Alexandre Desplat. Miguel gave a presentation entitled Raiders of the Lost Archive at the British Library suggesting ways in which a variety of source materials, especially digital sources, might impact on our understanding of film music. Chidlren of 9/11, with a score by Miguel, will be broadcast on Channel 4 at 21:00 on the 11th September.